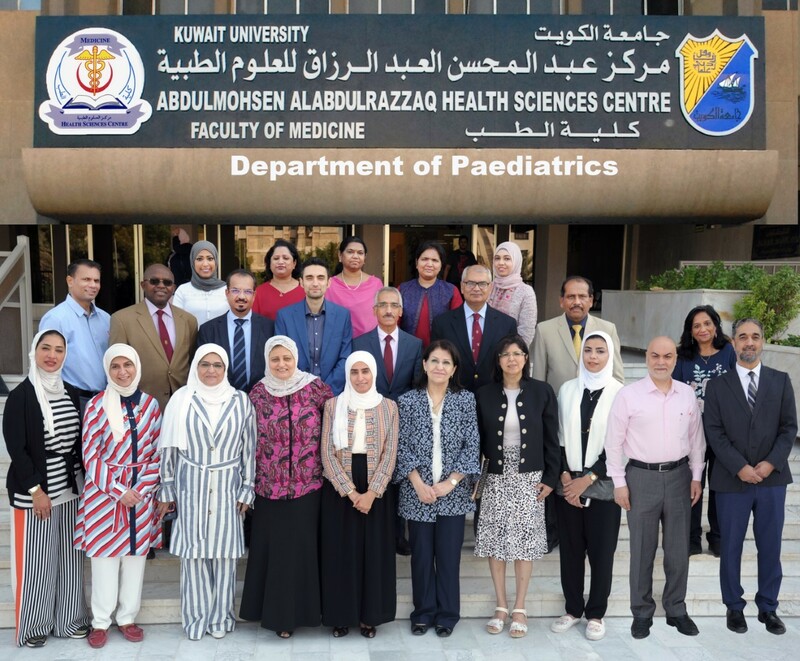 The Department of Paediatrics continues to pursue its main objectives of providing excellent teaching, research and service to Kuwait University and the community at large. The department has also evolved along with the faculty especially in preparing for the introduction of the new curriculum with emphasis on problem-based learning (PBL) in the clinical years (Phase III) starting from the 2010/20011 academic session. To this end, series of orientation courses and workshops have been held in conjunction with the Centre for Medical Education in the Faculty of Medicine. Indeed, the department has changed its orientation from the traditional format of teaching and assessment over the last two years with gradual introduction of PBL sessions and objective structured clinical examination (OSCE) format for students’ assessment. These changes have been well received by students and staff. We hope to build on this in the coming years. The department’s primary teaching assignment is the 6th year medical students’ paediatric rotation. In addition, many of the academic staff teach other undergraduate and postgraduate courses in the faculties of medicine and pharmacy. Clinical postgraduate teaching takes place in the Ministry of Health hospitals under the auspices of Kuwait Institute of Medical Specialization (KIMS). Most of the academic staff are also seconded to the Ministry of Health as clinical consultants in the hospitals where our students rotate. Many run regular clinics and take calls in addition to other clinical duties. Bedside teaching of medical students and postgraduate resident doctors is undertaken here. State of the art research with cutting edge technology is available in the department. Faculty staff members have varying research expertise and interests. The department has acquired considerable international and local recognition in the fields of paediatric neurology, rheumatology, haematology, nephrology, cardiology, neonatology and others. In particular we have an active molecular genetics laboratory and a metabolic diseases laboratory. The department has participated prominently in the annual poster day conference in the faculty and won several awards in the past. The publication record of the members of the department is quite impressive.